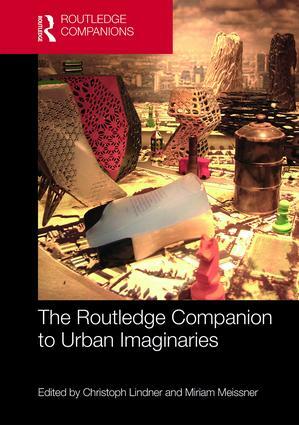 The Routledge Companion to Urban Imaginaries delves into examples of urban imaginaries across multiple media and geographies: from new visions of smart, eco, and resilient cities to urban dystopias in popular culture; from architectural renderings of starchitecture and luxury living to performative activism for new spatial justice; and from speculative experiments in urban planning, fiction, and photography to augmented urban realities in crowd-mapping and mobile apps. The volume brings various global perspectives together and into close dialogue to offer a broad, interdisciplinary, and critical overview of the current state of research on urban imaginaries. Questioning the politics of urban imagination, the companion gives particular attention to the role that urban imaginaries play in shaping the future of urban societies, communities, and built environments. Throughout the companion, issues of power, resistance, and uneven geographical development remain central. Adopting a transnational perspective, the volume challenges research on urban imaginaries from the perspective of globalization and postcolonial studies, inviting critical reconsiderations of urbanism in its diverse current forms and definitions. In the process, the companion explores issues of Western-centrism in urban research and design, and accommodates current attempts to radically rethink urban form and experience. This is an essential resource for scholars and graduate researchers in the fields of urban planning and architecture; art, media, and cultural studies; film, visual, and literary studies; sociology and political science; geography; and anthropology. 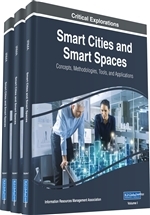 VF01-65 Smart Cities and Smart Spaces: Concepts, Methodologies, Tools, and Applications, 3-Vols/Set. Making sense of the urban experience has been a long term challenge for social scientists, growing in importance as that experience becomes almost universally shared. 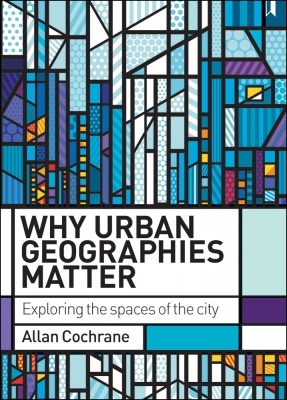 Within the context of an increasingly urbanised world, this book shows why and how geography matters in understanding cities and the ways in which people live in them. It engages directly with some of the key debates in urban studies drawing on some of the insights of contemporary geographical thinking and research, and brings together theory and evidence in ways that allow each to inform the other. Written by a highly experienced and respected author the book addresses global and comparative dimensions of urbanisation and will be a valuable resource for academics, lecturers and students on urban geography and planning courses. SC09-481 Sustainable Nation: Urban Design Patterns for the Future. SC09-481 Sustainable Urban Logistics: Planning and Evaluation. England has a housing crisis. We need to build many more new homes to house our growing population, but house building is controversial, particularly when it involves the loss of countryside. Addressing both sides of this critical debate, Shaun Spiers argues that to drive house building on the scale needed, government must strike a contract with civil society: in return for public support and acceptance of the loss of some countryside, it must guarantee high quality, affordable developments, in the right locations. Simply imposing development, as recent governments of all political persuasions have attempted, will not work. 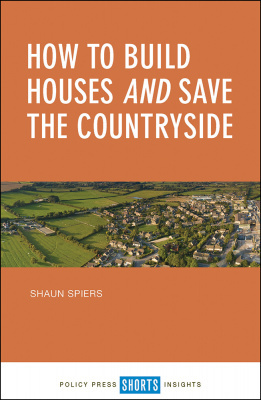 Focusing on house building and conservation politics in England, Spiers uses his considerable experience and extensive research to demonstrate why the current model doesn’t work, and why there needs to be both planning reform and a more active role for the state, including local government. SC09-476 Design for Social Diversity. SC09-476 Regenerative Urban Design and Ecosystem Biomimicry. SC09-476 The Syntax of City Space: American Urban Grids. SC09-472 Doing Global Urban Research. 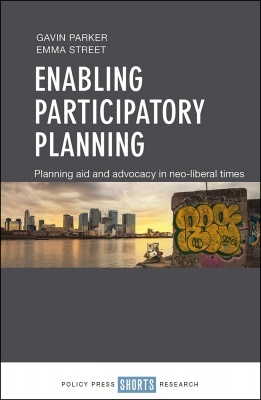 SC09-472 Enabling Participatory Planning: Planning Aid and Advocacy in Neo-liberal Times. 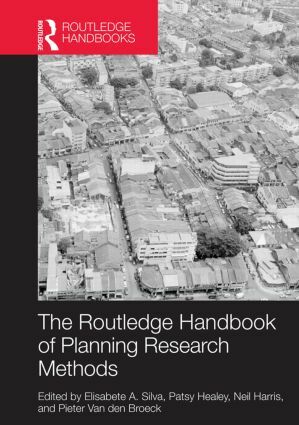 his book examines the challenges in delivering a participatory planning agenda in the face of an increasingly neo-liberalised planning system and charts the experience of Planning Aid England. In an age of austerity, government spending cuts, privatisation and rising inequalities the need to support and include the most vulnerable in society is more acute than ever. However, forms of Advocacy Planning, the progressive concept championed for this purpose since the 1960s, is under threat from neo-liberalisation. Rather than abandoning advocacy, the book asserts that only through sustained critical engagement will issues of exclusion be positively tackled and addressed. The authors propose neo-advocacy planning as the critical lens through which to effect positive change. This, they argue, will need to draw on a co-production model maintained through a well-resourced special purpose organisation set up to mobilise and resource planning intermediaries whose role it is to activate, support and educate those without the resources to secure such advocacy themselves. SC09-471 Reframing the Reclaiming of Urban Space: A Feminist Exploration into Do-It-Yourself Urbanism in Chicago. SC09-470 Present and Future of Urban Planning. Presenting a framework of adaptive risk governance for urban planning; this book reveals why previous community planning practices have failed and suggests that improvements can be made by taking into consideration the diverse needs of a multicultural society. This timely book, explains the changes that have transformed urban planning and intended to inform and inspire citizens, legislators, administrators, technocrats, and planners to shape cities for the benefit and enjoyment of all. SC09-470 Developments and Issues in Urban Engineering and Transportation. Urban engineering has become a subject of major interest for students, academia and practicing engineers in the government and private sector. Transport plays a crucial role in urban development by providing access for people to education, markets, employment, recreation, health care and other key services. 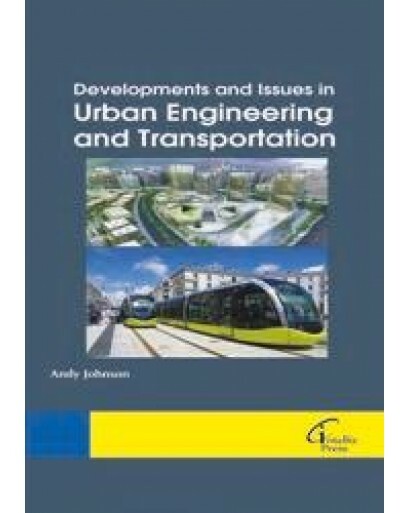 This book will be of interest as a credible source can be very applicable and useful for all professors, researchers, students, experienced technical professionals, practitioners and others interested in urban transportation systems. SC09-470 Regional Development and Land Use Change. Land use/cover change (LUCC), especially conversion and degradation of natural land, is the key factor causing terrestrial carbon stocks declines in the world. As we noticed the main driving force of LUCC is human activities and socio-economic development, many types of research have been conducted. 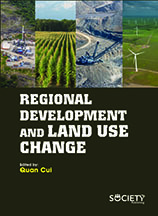 This book contains reviews on regional land-use change and socio-economic relations, special issues like deforestation and urbanization, environmental impacts of land-use change, LUCC on energy flow, specific elements stocks related with LUCC, carbon storage and LUCC, et al. Combing studies from different angles, this book give its readers an up-to-date concept about what regional development and land-use change can do to our society and nature. SC09-470 Urban Planning and Development Issues. The dynamics of different cities and towns can only be managed through the urban planning, designing and development. The globalization with advance technology has also derived the economy towards on the rise in the fast manner, which is dangerous for cities and towns if they will not adapt change. The sustainability can only be achieved and attained through the skillfulness. The book is all about adaptation towards change and new life style choices through urban planning, designing and development. The book is based on a belief that the cities and towns can be made more sustainable and it is a fact that human beings cannot reside in places without sustainable cities and towns. SC09-470 Urban Sociology: An Introduction to the Study of Urban Communities. This book provides information about the nature and scope of urban sociology with all the aspects of city life. 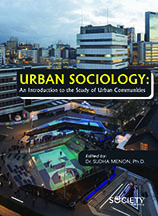 This comprehensive text extends the discussion of the challenges faced by urban sociology in the global age, while covering the issues traditionally associated with urban sociology. It relies on the related sciences and borrows from history, economics, social psychology, public administration and social work. SC09-470 Urban Planning and Development. People living in rural areas typically tap the opportunities that cities provide for employment, entrepreneurial avenues, and education. This Book highlights some of the problems and discusses possible solutions in terms of organization, planning and management. 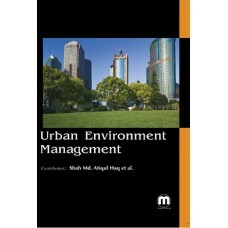 This book is a compendium of selected chapters, of great significancefor understanding the urban development issues, contributed by well-known authors in this scientific field. 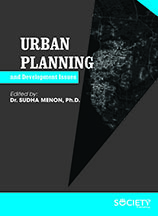 All the chapters have been comprehensively reviewed and cover some basic aspects about urban sustainability, urban extension, urban planning, urban setting, housing and land uses. SC09-469 Lecture Notes in Urban Economics and Urban Policy. SC09-467 Why Detroit Matters: Decline, Renewal and Hope in a Divided City. Detroit has come to symbolise deindustrialization and the challenges, and opportunities, it presents. As many cities struggle with urban decline, racial and ethnic tensions and the consequences of neoliberal governance and political fragmentation, Detroit’s relevance grows stronger. Why Detroit Matters bridges academic and non-academic responses to this extreme example of a fractured and divided, post-industrial city. 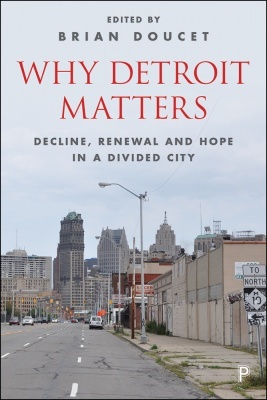 Contributions from many of the leading scholars on Detroit are joined by influential writers, planners, artists and activists who have contributed chapters drawing on their experiences and ideas. The book concludes with interviews with some of the city’s most important visionaries who are engaged in inspiring practices which provide powerful lessons for Detroit and other cities around the world. The book will be a valuable reference for scholars, practitioners and students from across disciplines including geography, planning, architecture, sociology, urban studies, history, American studies, and economics. SC09-467 Localism and Neighbourhood Planning: Power to the People? Governments around the world are seeing the locality as a key arena for effecting changes in governance, restructuring state/civil society relations and achieving sustainable growth. 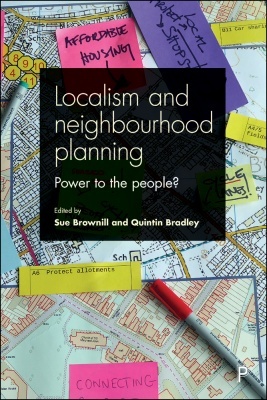 This is the first book to critically analyse this shift towards localism in planning through exploring neighbourhood planning; one of the fastest growing, most popular and most contentious contemporary planning initiatives. Bringing together original empirical research with critical perspectives on governance and planning, the book engages with broader debates on the purposes of planning, the construction of active citizenship, the uneven geographies of localism and the extent to which power is actually being devolved. Setting this within an international context with cases from the US, Australia and France the book reflects on the possibilities for the emergence of a more progressive form of localism. SC09-465 Sustainable Innovation and Regional Development: Rethinking Innovative Milieus. SC09-463 The Geography of Urban Transportation. A comprehensive update, the fourth edition of this leading text features numerous chapters by new authors addressing the latest trends and topics in the field. The book presents the foundational concepts and methodological tools that readers need in order to engage with today's pressing urban transportation policy issues. Coverage encompasses passenger and freight dynamics in the American metropolis; the local and regional transportation planning process; and questions related to public transit, land use, social equity and environmental justice, energy consumption, air pollution, transportation finance, sustainability, and more. Among the student-friendly features are special-topic boxes delving into key issues and 87 instructive figures, including eight color plates. New to This Edition Extensively revised coverage of information and communication technologies, urban freight, travel behaviors, and regional transportation planning. Engaging discussions of current topics: smartphone travel tracking, Uber, car and bike sharing, food deserts, biofuels, and more. Heightened focus on climate change. Reflects over a decade of policy changes, technological advances, and emergent ideas and findings in the field. Most of the figures and special-topic boxes are new. 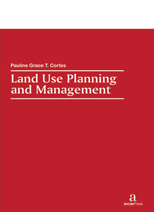 SC09-463 Land Use Planning and Management. This book involves studies on the environmental effects of land use and its impact on the community. It provides a practical understanding of the mechanisms, tools, and levers that can be used to achieve strategic and proactive urban governance. The process by which lands are evaluated and assessed to become a basis for decisions involving land disposition and utilization. Land management is the process of managing the use and development (in both urban and rural settings) of land resources. Land resources are used for a variety of purposes which may include organic agriculture, reforestation, water resource management and eco-tourism projects. SC09-463 Illustrated Handbook of Urban Planning & Design. This illustrated handbook brings together the imaginative and generative strength of design to structure, visualize and communicate urban proposals with the analytic rigor of urban planning methodologies, tools and the policy role. It develops competence in urban planning and design grounded in a solid knowledge base, while advancing professional skills through task-based learning and tools for experimentation and innovation. Urban design is the process by which cities, towns, and villages are shaped, with the goal of making urban areas functional, attractive, and sustainable. It unites all the built environment professions, including urban planning, landscape architecture, architecture, civil and municipal engineering, and focuses on the design, quality, character and appearance of places. Urban planning is the process concerned with the use of land and design of the urban environment, including air, water, and infrastructure networks. It guides and ensures the orderly development of communities, and concerns itself with research and analysis, strategic thinking, policy recommendations, implementation, and management. SC09-461 Urban Land Use: Community-Based Planning. SC09-457 Joint Fact-Finding in Urban Planning and Environmental Disputes. SC09-457 Transport Justice: Designing Fair Transportation Systems. Population shifts and an increase in the number of natural (and man-made) disasters are having a profound effect on urban and rural habitats globally. 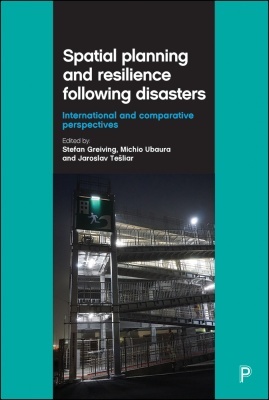 This book brings together for the first time the experiences and knowledge of international contributors from academia, research, policy and practice to discuss the role of spatial planning after significant disasters. It highlights on-going efforts to improve spatial resilience across the globe and predicts future trends. Comparisons from five countries including Japan, the US, Indonesia, Slovakia and Germany, highlight the influence of significant disasters on spatial planning and spatial resiliency under different legal-administrative and cultural frameworks. Inclusive growth is rising up the agenda of urban thinkers and policy makers. However, there is confusion around what it means, why it is important and how cities might achieve it. Directly addressing these questions, Josh Stott analyses the characteristics of a more inclusive local economy where growth can create opportunity for all segments of society, fairly distributing the benefits, both monetary and non-monetary. The book develops a compelling case for city leadership and action, and puts forward a strategy for achieving more inclusive growth based around new ideas and international good practice. Arguing that cities are best placed to champion an inclusive growth agenda, Stott uses interviews with city leaders from the UK, Europe and US to identify the steps cities can take to achieve a more inclusive local economy. VSC09-001 The Routledge Handbook of Transportation. 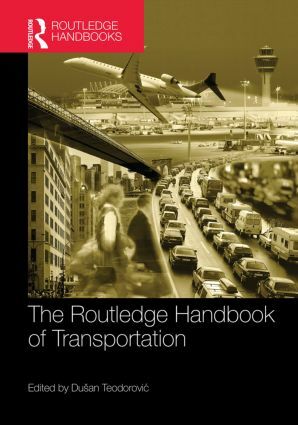 The Routledge Handbook of Transportation offers a current and comprehensive survey of transportation planning and engineering research. It provides a step-by-step introduction to research related to traffic engineering and control, transportation planning, and performance measurement and evaluation of transportation alternatives. The Handbook of Transportation demonstrates models and methods for predicting travel and freight demand, planning future transportation networks, and developing traffic control systems. Readers will learn how to use various engineering concepts and approaches to make future transportation safer, more efficient, and more sustainable. Edited by Dusan Teodorovic and featuring 29 chapters from more than 50 leading global experts, with more than 200 illustrations, the Routledge Handbook of Transportation is designed as an invaluable resource for professionals and students in transportation planning and engineering. SC09-457 Rethinking Sustainable Cities: Accessible, Green and Fair. Sustainable urbanisation has moved to the forefront of global debate, research and policy agendas over recent years. Rapid urbanisation throughout China, India and many other low and middle income countries poses new challenges both locally and internationally at a time when urban areas worldwide are threatened by climate/environmental change. 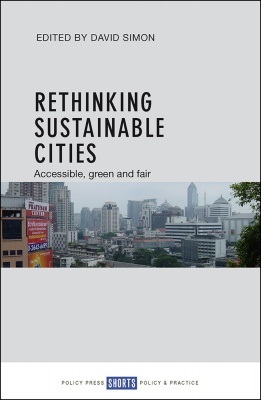 This compact book is designed to make a signal contribution to the sustainable urbanisation agenda through authoritative interventions contextualising, assessing and explaining clearly the relevance and importance of three central characteristics of sustainable towns and cities everywhere, namely that they should be fair, green and accessible. These three terms form key tenets of the work of Mistra Urban Futures (MUF), an international research centre on sustainable urbanisation based in Gothenburg, Sweden, and working through transdisciplinary research platforms there, in Greater Manchester (UK), Cape Town (South Africa) and Kisumu (Kenya). Additional platforms are being established in southern Sweden, Asia and Africa. 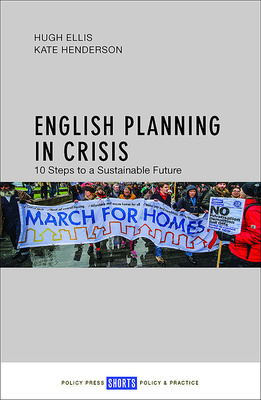 SC09-457 English Planning in Crisis: Ten Steps to a Sustainable Future. The English planning system is in crisis, argue the authors of this provocative new book. Reflecting on controversial new Government reforms and deregulation, Kate Henderson and Hugh Ellis provide a comprehensive analysis of these reforms, assessing the implications and significance for the future. They highlight why planning is so essential to quality of life and set out 10 evidence-based steps to rebuild the planning system in England. Drawing on policy and practice examples from across the UK and internationally, the book is a manifesto for change. It provides a direct and vigorous challenge to the current structure and policy of planning that should ignite a debate about the values that shape its future. 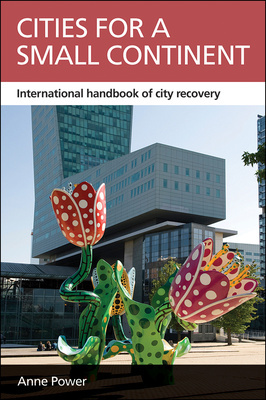 SC09-457 Cities for a Small Continent: International Handbook of City Recovery. This original book builds on the author’s research in Phoenix cities to present a vivid story of Europe’s post-industrial cities pre- and post- financial crisis. Using varied case studies the book explores how policy responses to the economic crisis have played out in different European cities, with their contrasting conditions, history and performance generating contrasting reactions. The book compares changes between Northern and Southern European countries, bigger and smaller cities, over the past ten years. Across the continent social cohesion, community investment and social enterprise have gained momentum as Europe’s crowded, resource-constrained cities face up to environmental and social limits faster than other less densely urban countries, such as the US. The author presents a compelling framework to show that Europe’s cities are creating a new industrial economy to combat environmental and social unravelling. SC09-456 Handbook of Urban Planning & Design. Urban design and planning is created upon the social, environmental, political, aesthetic and economic importance of design in the public realm, serving the public interest. It focuses on the intersections between architecture, landscape architecture, planning and geography. The design of urban places explores two strongly related fields of environmental practice: urban design as the shaping of urban space and urban planning as the strategic and regulatory mediation of urban change. 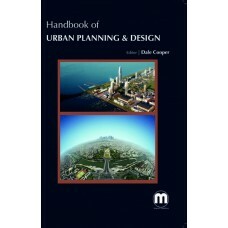 This book highlights some of these problems and discusses possible solutions in terms of urban, planning and management. 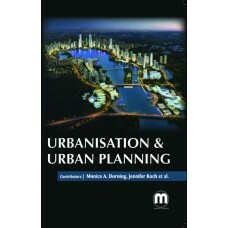 SC09-456 Urbanisation & Urban Planning. Urbanisation is a population shift from rural to urban areas, “the gradual increase in the proportion of people living in urban areas”, and the ways in which each society adapts to the change. It is predominantly the process by which towns and cities are formed and become larger as more people begin living and working in central areas. Rapid urbanisation presents new and substantial challenges, ranging from governance and citizenship to infrastructure, housing, and the environment. Urban planning is a technical and political process concerned with the use of land, protection and use of the environment, public welfare, and the design of the urban environment, including air, water, and the infrastructure passing into and out of urban areas such as transportation, communications, and distribution networks. This book focuses on key issues that emerge in rapidly growing cities of the developing world. Urban environment management (UEM) responds to the need to examine urban environment and housing problems from the management and planning perspectives to promote sustainable urban development. The UEM develops the capabilities and skills to confront deteriorating en-vironmental conditions that threaten urban productivity, quality of life of urban residents and social cohesion of urban communities. Urban Environment Management looks at urban areas as the intersection of natural, built, and socio-economic environments, to create sustainable urban ecosystems. The objectives of this book are to explore local environmental problems of cities, as well as its impacts on global challenges. SC09-456 Urban Renewal: Policy & Management. Urban renewal, is a program of land redevelopment in areas of moderate to high density urban land use. Urban renewal involves the relocation of businesses, the demolition of structures, the relocation of people, and the use of eminent domain as a legal instrument to take private property for city-initiated development projects. Urban renewal has been seen by proponents as an eco-nomic engine and a reform mechanism, and by critics as a mechanism for control. It may enhance existing communities, and in some cases result in the demolition of neighborhoods. 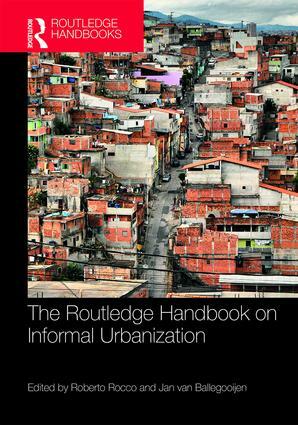 The book con-centrates on urban renewal focusing on the social and physical aspects of this process. 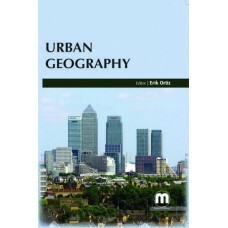 Urban geography, with reference to their geographical environment, is related to the study of urban places. It consists of origin of towns, their growth and development, their functions in and nearby their surroundings. Urban geographers are mainly focused with the ways in cities and towns are built, administered and practiced. Urban geography studies the effect of urban processes on the earth’s surface’s social and physical structures. 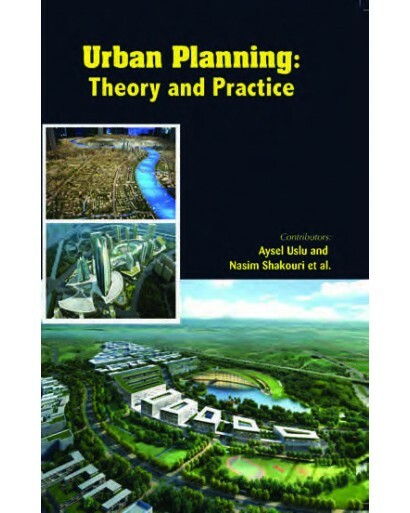 SC09-456 Urban Planning: Theory & Practice. Urban planning is a technical and political process concerned with the use of land, protection and use of the environment, public welfare, and the design of the urban environment. It ensures the orderly development of settlements and satellite communities which commute into and out of urban areas or share resources with it. This book covers the factors into consideration when choosing the locations for buildings, and sets up appropriate zones accordingly. SC09-452 Urban Environments in Africa: A Critical Analysis of Environmental Politics. SC09-452 Exploring the Production of Urban Space: Differential Space in Three Post-Industrial Cities. The ideas of Henri Lefebvre on the production of urban space have become increasingly useful for understanding world-wide post-industrial city transformation. This important book uses new international comparative research to engage critically with Lefebvre’s spatial theories and challenge recent thinking about the nature of urban space. Meticulous research in three iconic post-industrial cities in the UK and North America, explains how urban public spaces, including differential space are socially produced. The book contributes critically to the post-industrial city comparative analysis literature. It provides an accessible guide for those who care about public space, city planning and urban policy. SC09-451 Restructuring Public Transport through Bus Rapid Transit: An International and Interdisciplinary Perspective. Bus Rapid Transit (BRT) is commonly discussed as an affordable way for cities to build sustainable rapid transport infrastructure. This book is the first to offer an in-depth analysis of BRT, examining the opportunities it presents along with the significant challenges cities face in its implementation. A wide range of contributors bring expertise in fields ranging from engineering, planning and public policy to economics and urban design from both developed and developing countries, to provide a big picture assessment of BRT as part of a process for restructuring transit systems. Academically rigorous, based on 5 years of research conducted by the BRT Centre of Excellence, the book is written in an accessible style making it a valuable resource for academic researchers and postgraduate students as well as policy makers and practitioners. SC09-450 After Urban Regeneration: Communities, Policy and Place. 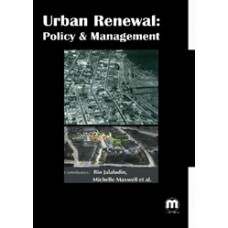 After Urban Regeneration is a comprehensive study of contemporary trends in urban policy and planning. Leading scholars come together to create a key contribution to the literature on gentrification, with a focus on the history and theory of community in urban policy. Engaging with debates as to how urban policy has changed, and continues to change, following the financial crash of 2008, the book provides an essential antidote to those who claim that culture and society can replicate the role of the state. Based on research from the UK Arts and Humanities Research Council’s Connected Communities programme and with a unique set of case studies drawing on artistic and cultural community work, the book will appeal to scholars and students in geography, urban studies, planning, sociology, law and art as well as policy makers and community workers. VSC09-001 The Routledge Handbook of Planning Research Methods. 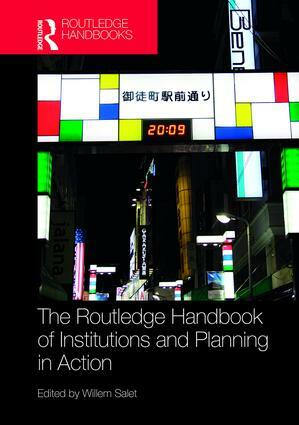 The Routledge Handbook of Planning Research Methods is an expansive look at the traditions, methods, and challenges of research design and research projects in contemporary urban planning. Through case studies, an international group of researchers, planning practitioners, and planning academics and educators, all recognized authorities in the field, provide accounts of designing and implementing research projects from different approaches and venues. This book shows how to apply quantitative and qualitative methods to projects, and how to take your research from the classroom to the real world. The book is structured into sections focusing on •Beginning planning research •Research design and development •Rediscovering qualitative methods •New advances in quantitative methods •Turning research into action With chapters written by leading scholars in spatial planning, The Routledge Handbook of Planning Research Methods is the most authoritative and comprehensive handbook on the topic, providing both established and ground breaking coverage of spatial planning research methods. The book is an invaluable resource for undergraduate and graduate level students, young professionals and practitioners in urban, regional, and spatial planning. SC09-451 Community Development in Action: Putting Freire into Practice. In a world in which social divisions are widening not lessening, it is essential for community development, or any other practice committed to social justice and sustainability, to understand how power works at every level, from grassroots projects to movements for change. This exciting and practical book is filled to the brim with useful ideas for busy practitioners. Building on the work of Paulo Freire, theories are presented in interesting and straightforward ways to provide an everyday reference for practice. Contained in these pages is all you need to give your practice a critical edge! SC09-450 The Short Guide to Urban Policy. With an ever increasing proportion of the world's population inhabiting urban environments, the management of cities remains a perennial challenge for governments and policymakers. This concise, but wide-ranging text makes sense of the multiple ways in which urban issues and problems have been defined and addressed in different places at different times. From initiatives that focus on social tensions within the urban realm, to those which seek to develop cities as economic entities, the book provides an accessible discussion and critique of some of the key approaches that have characterised urban policy across the globe. Providing case studies of urban policy actions, explanations of key concepts, and succinct chapter summaries, this unique introductory text is invaluable reading for both students and practitioners who are new to the area of urban policy, and who wish to understand and assess policy responses to the challenges posed by urban living and lifestyles. SC09-442 How to Save Our Town Centres: A Radical Agenda for the Future of High Streets. Has the age of the internet killed our high streets? Have our town and city centres become obsolete? How to Save Our Town Centres delves below the surface of empty buildings and ‘shop local’ campaigns to focus on the real issues: how the relationship between people and places is changing, how business is done and who benefits, and how the use and ownership of land affects us all. Written in an engaging and accessible style and illustrated with numerous original interviews, the book sets out a comprehensive and coherent agenda for long term citizen-led change. It will be a valuable resource for policymakers and researchers in planning, architecture and the built environment, economic development and community participation. SC09-442 Global Gentrifications: Uneven Development and Displacement. Under contemporary capitalism the extraction of value from the built environment has escalated, working in tandem with other urban processes to lay the foundations for the exploitative processes of gentrification world-wide. Global gentrifications: Uneven development and displacement critically assesses and tests the meaning and significance of gentrification in places outside the ‘usual suspects’ of the Global North. Informed by a rich array of case studies from cities in Asia, Latin America, Africa, Southern Europe, and beyond, the book (re)discovers the important generalities and geographical specificities associated with the uneven process of gentrification globally. It highlights intensifying global struggles over urban space and underlines gentrification as a growing and important battleground in the contemporary world. The book will be of value to students and academics, policy makers, planners and community organisations. SC09-440 Leading the Inclusive City: Place-Based Innovation for a Bounded Planet. Many European cities have a shortage of good quality, affordable housing, but this problem has become less prominent in policy than it should be. This timely book aims to redress that balance. After an introductory chapter, expert contributors provide contemporary comparative accounts of housing renewal policy and practice in nine European countries in its physical, economic, social, community and cultural aspects. Shared concerns over energy conservation, social protection and inclusion, and the roles and responsibilities of the public and private sectors form the basis of a proposed policy agenda for housing renewal across Europe. The concluding chapters draw conclusions from a pan-European perspective and consider the future prospects for renewing older housing. Academics, practitioners, policy-makers and students of housing, urban studies, planning, regeneration, environmental health and sustainability will all want to read this book. Global Gentrifications: Uneven Development and Displacement. After Urban Regeneration: Communities, Policy and Place. Whose Land is Our Land? : The Use and Abuse of Britain's Forgotten Acres. Food security and housing a nation with an expanding population should be key priorities for a small island like Britain. Yet both are being thwarted by record land prices. In the last 10 years, farm land has risen by almost 200% - with feeding the nation a secondary consideration to speculators buying up thousands of acres annually to avoid tax. If planning permission is given for new housing, prices can rise fifty-fold - making a vast profit for a few and home ownership a distant dream for many. In this provocative book, journalist Peter Hetherington argues that Britain, particularly England, needs an active policy to address these areas and stronger action by the government. This important debate will attract interest among academics and postgraduates in planning, surveying, housing management, rural policy and social policy, political organisations, the Third Sector, social enterprises, national housing organisations, community and voluntary groups. VSC09-001 Companion to Urban Design. 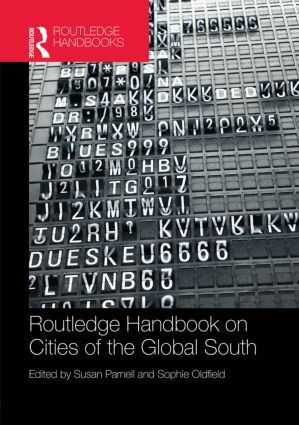 VSC09-001 The Routledge Handbook on Cities of the Global South. The Handbook works towards a geographical realignment in urban studies, bringing into conversation a wide array of cities across the global south – the ‘ordinary’, ‘mega’, ‘global’ and ‘peripheral’. With interdisciplinary contributions from a range of leading international experts, it profiles an emergent and geographically diverse body of work. The contributions draw on conflicting and divergent debates to open up discussion on the meaning of the city in, or of, the global south; arguments that are fluid and increasingly contested geographically and conceptually. It reflects on critical urbanism, the macro- and micro-scale forces that shape cities, including ideological, demographic and technological shifts, and constantly changing global and regional economic dynamics. Working with southern reference points, the chapters present themes in urban politics, identity and environment in ways that (re)frame our thinking about cities. The Handbook engages the twenty-first-century city through a ‘southern urban’ lens to stimulate scholarly, professional and activist engagements with the city. SC09-448 Evaluation of Innovative Land Tools in Sub-Saharan Africa. Sub-Saharan Africa is urbanizing rapidly, but most countries lack appropriate tools to manage their urban growth. This creates both risks and opportunities for prospective land holders, resulting in a tangle of insecure land rights and claims under multiple tenure systems. Recently, innovative land tools have been proposed and implemented to formalize land tenure. It is envisaged that tenure security for land holders will increase and in turn contribute to poverty reduction. This study evaluates such tools in three peri-urban areas in Lusaka (Zambia), Oshakati (Namibia) and Gaborone (Botswana), with a focus on the perspective of the land holders. The author concludes that the tools are to some extent pro-poor, and makes recommendations for further improvements. These innovative land tools are also considered a necessary addition to conventional and administration tools. This study makes valuable reading for academics, policy makers and practitioners within the land administration domain and related disciplines. SC09-439 Hearing the Voices of the Gypsy, Roma and Traveller Communities: Inclusive Community Development. Over the past decade, interest in Gypsies, Roma and Travellers (GRT) has risen up the political and media agendas, but they remain relatively unknown. This topical book is the first to chart the history and contemporary developments in GRT community activism, and the community and voluntary organisations and coalitions which support it. Underpinned by radical community development and equality theories, it describes the communities' struggle for rights against a backdrop of intense intersectional discrimination across Europe, and critiques the ambivalent role of community development in fostering these campaigns. Much of it co-written by community activists, it is a vehicle for otherwise marginalised voices, and an essential resource and inspiration for practitioners, lecturers, researchers and members of GRT communities. SC09-439 Sustainable London? : The Future of a Global City. How is London responding to social and economic crises, and to the challenges of sustaining its population, economy and global status? This exciting book explores the rise of sustainable development policies in London. Sustainable development discourse has permeated different policy fields, including transport, housing, property development and education. Here, international authors highlight the uneven impacts and effects of these policies, including the creation of new social inequalities and extending and deepening existing ones, and seek to move debates towards a reconsideration of previous interpretations of sustainability which balanced market and social interests in the public good. The book is essential reading for urban practitioners and policy makers, and students in social, urban and environmental geography, sociology and urban studies. SC09-439 Community Action and Planning: Contexts, Drivers and Outcomes. With trust in top-down government faltering, community-based groups around the world are displaying an ever-greater appetite to take control of their own lives and neighbourhoods. Government, for its part, is keen to embrace the projects and the planning undertaken at this level, attempting to regularise it and use it as a means of reconnecting to citizens and localising democracy. This unique book analyses the contexts, drivers and outcomes of community action and planning in a selection of case studies in the global north: from emergent neighbourhood planning in England to the community-based housing movement in New York, and from active citizenship in the Dutch new towns to associative action in Marseille. It will be a valuable resource for academic researchers and for postgraduate students on social policy, planning and community development courses. SC09-439 Rebuilding Britain: Planning for a Better Future. Britain faces extraordinary challenges, from climate change to growing equality and global economics, but as a nation has no plan for the future. This unique book asks a simple question: how it can organise itself, not just for survival, but to build a fairer and sustainable society? The arguments refer to the high ambitions of those who pioneered the planning movement and campaigned for a clear set of progressive values, but whose drive for Utopia has now been forgotten.. The book takes a distinctive approach to exploring the value to society of social town planning and offers a doorway for how planning both morally and practically can help to meet key challenges of the 21st century. It challenges the widely held view that it’s impossible to achieve a better future by suggesting that there is real choice in how society develops and points to contemporary examples of Utopia. This accessible book makes essential reading for students in the built environment and the wider social sciences who have an interest in UK and European examples of sustainable communities. SC09-439 The Collaborating Planner? : Practitioners in the Neoliberal Age. Since the turn of the 21st century, there has been a greater pace of reform to planning in Britain than at any other time. As a public sector activity, planning has also been impacted heavily by the wider changes in the way we are governed. Yet whilst such reform has been extensively commented upon within academia, few have empirically explored how these changes are manifesting themselves in planning practice. This book aims to understand how both specific planning and broader public sector reforms have been experienced and understood by chartered town planners working in local authorities across Great Britain. After setting out the reform context, successive chapters then map responses across the profession to the implementation of spatial planning, to targets, to public participation and to the idea of a 'customer-focused' planning, and to attempts to change the culture of planning. Each chapter outlines the reaction by the profession to reforms promoted by successive central and devolved governments over the last decade, before considering the broader issues of what this tells us about how modernisation is rolled-out by frontline public servants. This accessible book fills a gap in the market and makes ideal reading for students and researchers interested in the UK planning system. SC09-438 Cities and Social Change: Encounters with Contemporary Urbanism. At a time when transport issues are high on the political agenda and sustainability concerns widely debated, there is a need for an accessible look at the policy issues, suitable for non-specialists. This book is a highly readable introduction to the transport debate from two experts in the field. The authors celebrate the advantages of a modern transport system, but argue that years of poorly conceived and executed transport policy have resulted in Britain’s transport system being far worse than it should be. They show that a substandard transport system creates economic, social and environmental costs, but demonstrate how these can be addressed through affordable and politically deliverable changes. Using a refreshingly novel approach, Shaw and Docherty use the familiar idea of the journey as the basis for their discussion. The book follows members of the Smith family as they uncover a wide array of transport issues, including why the problems we all encounter as we travel around actually come about; which policy trade-offs were responsible for creating them in the first place; what impacts we all have to suffer as a result; and what we can do to fix them. This lively and engaging approach will make the book ideal for a wide readership. SC09-430 Affordable and Social Housing: Policy and Practice. Leading the Inclusive City: Place-Based Innovation for a Bounded Planet. Hearing the Voices of the Gypsy, Roma and Traveller Communities: Inclusive Community Development. SC09-432 Neighbourhood Planning: Communities, Networks and Governance. SC09-431 Promoting Walking and Cycling: New Perspectives on Sustainable Travel. Promoting walking and cycling proposes solutions to one of the most pressing problems in contemporary British transport planning. The need to develop more sustainable urban mobility lies at the heart of energy and environmental policies and has major implications for the planning of cities and for the structure of economy and society. However, most people feel either unable or unwilling to incorporate travel on foot or by bike into their everyday journeys. This book uses innovative quantitative and qualitative research methods to examine in depth, and in an international and historical context, why so many people fail to travel in ways that are deemed by most to be desirable. It proposes evidence-based policy solutions that could increase levels of walking and cycling substantially. This book is essential reading for planners and policy makers developing and implementing transport policies at both national and local levels, plus researchers and students in the field of mobility, transport, sustainability and urban planning. SC09-431 The Future of Planning: Beyond Growth Dependence. For the past half a century, the planning system has operated on the basis of a growth-dependence paradigm. It has been based on market-led urban development and sought to provide community benefits from a share of development profits. However, we don’t live in a world where growth can be taken for granted and we are more aware of the implications for well-being and sustainability. This timely book provides a fresh analysis of the limitations of the growth-dependence planning paradigm. It considers alternative urban development models, ways of protecting and enhancing existing low value land uses and means of managing community assets within the built environment. In each case it spells out the role that a reformed planning system could play establishing a new agenda for planning. The book will be of relevance to planning students, planning professionals and planning academics, as well as urban policy specialists more generally. SC09-431 The Collaborating Planner? : Practitioners in the Neoliberal Age. Since the turn of the 21st century, there has been a greater pace of reform to planning in Britain than at any other time. As a public sector activity, planning has also been impacted heavily by the wider changes in the way we are governed. Yet whilst such reform has been extensively commented upon within academia, few have empirically explored how these changes are manifesting themselves in planning practice. This new book aims to understand how both specific planning and broader public sector reforms have been experienced and understood by chartered town planners working in local authorities across Great Britain. After setting out the reform context, successive chapters then map responses across the profession to the implementation of spatial planning, to targets, to public participation and to the idea of a 'customer-focused' planning, and to attempts to change the culture of the planning. Each chapter outlines the reaction by the profession to reforms promoted by successive central and devolved governments over the last decade, before considering the broader issues of what this tells us about how modernisation is rolled-out by frontline public servants. This accessible book fills a gap in the market and makes ideal reading for students and researchers interested in the UK planning system. SC09-431 Regenerating Deprived Urban Areas: A Cross-National Analysis of Area-based Initiatives. In the face of continuing challenges of urban decline, an increasing local policy activism can be observed in a number of European countries. The implementation of area-based initiatives (ABIs) for deprived urban areas, such as The ‘New Deal for Communities’ in England and the ‘Social City Programme’ in Germany, are examples of these New Localism(s). ABIs can be seen as test-beds for new forms of urban governance seeking to foster an active participation of residents and the Voluntary Sector. Based upon a comparative research in two cities, Bristol in England and Duisburg in Germany, this book is the first to cross-nationally compare the impacts of ABIs in two deprived urban areas in England and Germany. It evaluates the impacts of these New Localism(s) on organisations and development actors at the neighbourhood level. Using a rich data-set and applying a hands-on methodology it applies a mixed method approach to help the reader with a wider spectrum of illustrations and is aimed at those studying and working in the field of urban regeneration and planning. SC09-428 Welcome to the Green Village. A sustainable world can only be achieved by an open collaboration between science, business and the public. That is why we create the Green Village: an innovative, lively, interactive and challenging environment where entrepreneurs, innovators, companies, artists, teachers and visitors can meet, work and play to develop, apply and experience innovative sustainable products and solutions. In the Green Village you will find Future Labs for paradigmshifting system research, resulting in icon projects such as the Car Park Power Plant, the Harp and the Energy Wall. The Green Village will be sustainably powered by the Engines, with ‘heart’, ‘veins’ and ‘lungs’ that supply energy and water, treat waste water and solid waste into useful new products and provide energy and transport fuels like electricity and hydrogen. It will also house the Greentech Store, an innovative co-making shop for 3D printing, apps, crowd funding and more. And it will be the stage for many sustainability Events: exhibitions, shows, contests, workshops, games, challenges, conferences, etcetera. SC09-428 Response of Piled Buildings to the Construction of Deep Excavations. This book presents the results of an extensive research project conducted at the University of Cambridge, in cooperation with the Netherlands Centre of Underground Construction (COB) and Deltares, the Dutch Institute for water, subsurface and infrastructure issues. The study gained insight into mechanisms of soil-structure interaction for piled buildings adjacent to deep excavations and resulted in suggestions for designing and monitoring deep excavations in urban areas with soft soil conditions. Monitoring data of the construction of three deep excavations for the North–South metro line in Amsterdam, the Netherlands, have been used to validate the methods described. SC09-426 Large Housing Estates: Ideas, Rise, Fall and Recovery: The Bijlmermeer and beyond. Large housing estates: for some people these three words symbolise all that is wrong in urban planning. Large is wrong, because many people prefer a living surrounding that reflects the human scale. Housing as a single function is wrong, because mixed areas are livelier. And estates are wrong, as these refer to top-down planned areas which the residents themselves have no say in. SC09-426 Innovation Development for Highly Energy-Efficient Housing: Opportunities and Challenges Related to the Adoption of Passive Houses. In previous years we have seen a recognition of the significant potential that exists for reducing energy use through innovation in residential buildings. This study investigates innovation challenges and identifies opportunities that could lead to a rapid increase in the adoption of highly energy-efficient housing concepts, particularly that of the passive house. To this end, it exemplifies, interprets and develops the innovation adoption theory through an investigation of views and experiences on the supply side, the demand side and the policy side. It highlights successful innovation trajectories and barriers experienced by businesses. It addresses both problems and positive experiences from the perspective of the end user and investigates different policy approaches. As such, the research reveals important features of innovation-adoption strategies in the building sector. It shows how multi-player enterprise collaboration plays a key role, and the study also recommends the development of quality assurance schemes. It makes a valuable contribution to discussions about how active the role of government policymakers and enterprise networks should be. SC09-426 Competition between Social and Private Rental Housing. In the context of shifting regulatory approaches and changing provision structures in many Western rental housing systems, the notion of competition between social and private rental housing has received increasing attention from practitioners and academic researchers. This thesis explores and theorizes the concept of inter-tenure competition in order to advance understanding of what it means in local and national market realities, as well as in business and political practices. Results indicate that competition in mixed markets is a complex matter, much of which is explained by the distinctive properties of social and private rental services. Inter-tenure competition is shown to be the interplay of structural and political conditions, individual and organizational business goals, and the perceptions and strategic decisions of both providers and consumers. The results suggest that the degree of competition relates to specific points in time and is mainly a question of which rental market segment one is looking at. SC09-426 West European Housing Systems in a Comparative Perspective. The Future of Planning: Beyond Growth Dependence. Promoting Walking and Cycling: New Perspectives on Sustainable Travel. SC09-422 Neighbourhood Planning: Communities, Networks and Governance. SC09-422 Environmental Policy and Sustainable Development in China: Hong Kong in Global Context. Drawing on practices and theories of sustainability, Environmental policy and sustainable development in China explores the prospects for achieving environmentally benign economic and social development in China and beyond. Using the Chinese 'world city' of Hong Kong as a backdrop and case study, it introduces major conceptions of sustainability, describes historical and political contexts for environmental policymaking, and analyses key challenges related to sustainable development, including air pollution, water quality, waste, transport and climate change. The book will be a valuable and unique resource for students, teachers and readers interested in environmental policy, sustainable development and ecological governance, especially in China and Hong Kong. SC09-413 Economic Analysis of Neighbourhood Quality, Neighbourhood Reputation and the Housing Market. Residents know exactly what their neighbourhood is like. House-hunters, on the other hand, must find out for themselves about the intangible social quality of a neighbourhood. As a simple rule of thumb, neighbourhood reputation can offer them an assessment of neighbourhood quality. In this research, regression analyses are applied to test whether neighbourhood reputations are being used as a proxy measure for neighbourhood quality in residential mobility choices and establishing the price of homes. The empirical results go beyond answering this research question. What price, for instance, do residents place on liveability? Why does urban restructuring so often fail to change the social make-up of an area, despite a marked increase in owner-occupation? Why does gentrification appear to emerge spontaneously, while deliberate attempts to gentrify an area often fail? How does a neighbourhood acquire that ‘golden edge’? This book also provides the answers to the above policy-oriented questions. SC09-409 The Future of Sustainable Cities: Critical Reflections. This book investigates how the meanings and politics of urban sustainability are being radically rethought in response to the economic downturn and the credit crunch. 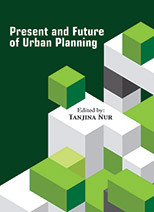 In this ground-breaking contribution, prominent scholars provide up to date coverage of the impacts of recent changes on key areas of urban planning, including housing, transport, and the environment, and map out core areas for future research. SC09-416 Biophilic Cities: Integrating Nature into Urban Design and Planning. SC09-411 Balanceren tussen Uitvoering en Bewuste Afwijking van Beleid. In hun strategisch voorraadbeleid beschrijven woningcorporaties welke aanpassingen ze in hun woningbezit willen doorvoeren. Tegelijkertijd kan het in de praktijk soms verstandig zijn dat zij van hun beleid afwijken, bijvoorbeeld omdat er nieuwe inzichten zijn, of omdat er beren op de weg komen die je beter kunt mijden. In dit boek wordt ingegaan op de vraag hoe het implementatieproces van strategisch voorraadbeleid verloopt. Het bevat uitgebreide casestudies, uitgevoerd bij vier woningcorporaties, waarin meerdere uitvoeringsprojecten van begin tot eind zijn gereconstrueerd. Daarbij is in beeld gebracht welke middelen corporaties gebruiken om beleid en uitvoering met elkaar te verbinden. Ook is gezocht naar de balans tussen enerzijds het uitvoeren van voorgenomen beleid en anderzijds het bewust afwijken van voorgenomen beleid op basis van nieuwe ontwikkelingen en veranderende inzichten. De belangrijkste uitkomsten van deze studie komen samen in een balansmodel, waarmee gereflecteerd kan worden op implementatieprocessen bij woningcorporaties. SC09-411 Housing Wealth in Retirement Strategies: Towards Understanding and New Hypotheses. What is the current role of housing wealth in household retirement strategies across the European Union member states, and could this role be extended? This question is often raised by researchers and policymakers as governments search for ways to cut pensions expenditure. Owner-occupation could potentially be part of a solution as the retired are often rich in terms of housing wealth. The existing theory shows that owning one's own home can be regarded as a form of pension: once the mortgage has been repaid, housing expenses are substantially lower and housing wealth can also be cashed in, either by selling or using equity release schemes. However, converting housing assets into cash is a much less common strategy than expected. This book contributes to existing knowledge by relating household strategies to broader national contexts. The countries included in the study are Belgium, Finland, Germany, Hungary, Portugal, Slovenia, Sweden and United Kingdom, while the Netherlands is the subject of particular attention. The study suggests that owner-occupation is not the clear-cut solution that governments might have hoped for. SC09-411 On Measuring and Explaining Neighbourhood Succes: A Behavioural Economic Approach. This study combines qualitative and quantitative research methods to explain which factors contribute to a problem-free or problematic functioning of neighbourhoods in general and especially of Dutch neighbourhoods that were built in the first years after World War II. An important part of the book is about the development of measuring instruments. Special attention is given to the development of a risk scale that offers researchers and policymakers the opportunity to distinguish on a metric level between problematic and successful neighbourhoods. This book brings together key insights from urban studies and central elements of Behavioural Game Theory. The author applies the notions of strong reciprocity and altruistic punishment in Prisoner’s Dilemmas and Assurance Games. With these notions she describes and explains the interdependent choices that residents make when they act as producers and maintainers of the social climate of a problem-free early post-World War II neighbourhood. Cycling is cheaper, healthier and, in urban environments, often faster than other modes of transport . Nevertheless, many individuals do not cycle even for short distances . This publication aims to explain why commuters differ in their decisions as to whether or not to cycle. Results indicate that the individual (day-to-day) choice to commute by bicycle is affected by personal attitudes towards cycling to work, social norms, the work situation, weather conditions and trip characteristics. In addition, the book provides evidence that different groups of bicycle commuters exist: non-cyclists, part-time cyclists and full-time cyclists. The mode choice of individuals within these groups depends partly on a number of different factors. Non-cyclists seem not to cycle because they consider it impractical, either due to the distance involved, their need to transport goods, the need for a car during office hours or a negative subjective norm. The decision to cycle among part-time or full-time cyclists is also affected by these factors, but additional factors can be identified. Finally, the day-to-day choice to cycle is based on work characteristics, weather conditions and trip characteristics. Part-time cyclists who cycle only occasionally are encouraged by pleasant weather conditions, while frequent cyclists are found to be discouraged by more practical barriers, such as where they need to work on a particular day. SC09-409 Urban Reflections: Narratives of Place, Planning and Change. Urban Reflections looks at how places change, the role of planners in bringing about urban change, and the public's attitudes to that change. Drawing on geographical, cinematic and photographic readings, the book offers a fresh incisive story of urban change, one that evokes both real and imagined perspectives of places and planning, and questions what role and purpose urban planning serves in the 21st century. It will interest urban and architectural historians, planners, geographers and all concerned with understanding urban planning and attitudes toward the contemporary city. SC09-407 The Purpose of Planning: Creating Sustainable Towns and Cities. Planning is never far from the top of the policy or media agenda, whether this concerns 'garden-grabbing', the location of wind farms or protests about travellers' sites. The operation of the planning system raises strong views, even passions, and is highly political. Planners have to engage with developers working on multi-million pound schemes and the local communities that will be affected by such schemes. And throughout, they have to work in the public interest, delivering on broad policy goals and meeting the needs of vulnerable communities. This book is about the way that the planning system works, what it can do, what it cannot do and how it should evolve to meet the challenges of the 21st century. It looks at a range of issues to unlock the purpose of planning by being positive about the role of planning while remaining realistic about its achievements and potential. Written in a clear and accessible manner, this book will be essential reading for students studying planning in a variety of disciplines and practitioners engaging with the planning system. SC09-405 Adapting Land Administration to the Institutional Framework of Customary Tenure: The Case of Peri-Urban Ghana. Understanding the Environment and Social Policy. Bringing together leading experts, this textbook explores the key social, political, economic and moral challenges that environmental problems pose for social policy in a global context. Combining theory and practice with an interdisciplinary approach, the book reviews the current strategies and policies and provides a critique of proposed future developments in the field. Understanding the environment and social policy guides the reader through the subject in an accessible way using chapter summaries, further reading, recommended webpages, a glossary and questions for discussion. Providing a much-needed overview, the book will be invaluable reading for students, teachers, activists, practitioners and policymakers. The Community Development Reader: History, Themes And Issues. SC09-416 Actual Energy Consumption in Dwellings: The Effect of Energy Performance Regulations and Occupant Behaviour. SC09-404 The Urban Code of China. SC09-399 Measuring and Explaining House Price Developments. This study discusses ways of measuring and explaining the development of house prices. The goal of the research underpinning this dissertation was to develop a methodological framework for studying these developments. This framework relates, first, to correcting for changes in the composition of dwellings and, second, to the fundamentals of the price development. Using the weighted repeat sales method and sale price appraisal ratio (SPAR) method, house price indexes were developed for the Netherlands. Both the Dutch land registry office and Statistics Netherlands publish the SPAR based house price index monthly. To explain and predict changes in prices, a house price model is presented. As suggested in literature on western housing markets, the Dutch house price developments can be explained by demand-oriented short-run term variables and a long-run term variable. Using the house price model, this work identifies the fundamental factors in the development of house prices, a long-run equilibrium between interest payments and income, and the weak relationship on an aggregated level between house prices and newly built dwellings. SC09-399 Environmental Impacts During the Operational Phase of Residential Buildings. To date, the focus in the field of sustainable building has been on new building design. However, existing residential buildings inflict great environmental burden through three causes: continuous energy consumption, regular building maintenance and replacements. This publication analyses and compares these three causes of environmental burden and shows that material resources needed for replacements generally have a limited potential to reduce environmental impact. Reducing energy consumption for climate control and electrical appliances is much more effective. According to the author, sustainable measures should be tested for shifts in the kind of environmental impact caused due to the use of alternative types of energy resources and altered material quantities. The sustainability of the electricity supply is essential to decrease the total environmental impact of the residential building stock. SC09-399 Divergence in European Welfare and Housing Systems. This book explores the relationship between the characteristics of the welfare state and the characteristics of the housing system (housing policies, housing outcomes and housing market developments) in different European countries. It consists of a theoretical framework, six published articles and a concluding chapter. All six articles use the welfare state regime theory and typology of Esping-Andersen, the housing system typology of Kemeny or both, or at least some aspects of these, as an explanatory framework. The results of the investigations indicate that there are considerable differences between the various European housing systems. As far as this is concerned, especially the Southern European countries occupy a rather distinct position. For this reason, two articles in the study specifically focus on the Southern European housing system of Spain. The book is relevant for both academics and policy-makers who are interested in international housing and housing policy developments. SC09-397 The Rural Housing Question: Community and Planning in Britain's Countrysides. For the past century, governments have been compelled, time and again, to return to the search for solutions to the housing and economic challenges posed by a restructuring countryside. The rural housing question is an analysis of the complexity of housing and development tensions in the rural areas of England, Wales and Scotland. It analyses a range of topics: from attitudes to rural development, economic change, land use, planning and counter-urbanisation; through retirement and ageing, leisure consumption, lifestyle shifts and homelessness; to public and private house building, private and public renting and community initiatives. Across this spectrum of concerns, it attempts to isolate the fundamental tensions that give the rural housing question an intractable quality. The book is aimed at policy makers, researchers, students and anyone with an interest in the future of the British countryside. SC09-397 Phoenix Cities: The Fall and Rise of Great Industrial Cities. 'Weak market cities' across European and America, or 'core cities' as they were in their heyday, went from being 'industrial giants' dominating their national, and eventually the global, economy, to being 'devastation zones'. In a single generation three quarters of all manufacturing jobs disappeared, leaving dislocated, impoverished communities, run down city centres and a massive population exodus.So how did Europeans react? And how different was their response from America's? This book looks closely at the recovery trajectories of seven European cities from very different regions of the EU. Their dramatic decline, intense recovery efforts and actual progress on the ground underline the significance of public underpinning in times of crisis. Innovative enterprises, new-style city leadership, special neighbourhood programmes and skills development are all explored. The American experience, where cities were largely left 'to their own devices', produced a slower, more uncertain recovery trajectory. This book will provide much that is original and promising to all those wanting to understand the ground-level realities of urban change and progress. SC09-395 Puzzling Neighbourhood Effects: Spatial Selection, Ethnic Concentration and Neighbourhood Impacts. Like other West European countries, the Netherlands are facing a growing uneasiness about its changing demographics. It is within this context that animated discussions concerning immigrant neighbourhoods dominate. The general opinion is that living in such neighbourhoods hinders the 'integration' of immigrants into Dutch society. This book contributes to the academic and policy debate by not only examining the effects of ethnic concentration, but also by finding out how people are sorted into neighbourhoods. Bringing together different bodies of literature, this book offers a more holistic view of the creation of ethnic residential segregation and its potential significance for individual life chances. SC09-391 Home Ownership: Getting In, Getting From, Getting Out. Part III. This book provides an overview of the effects of home ownership, a housing sector that has grown rapidly in recent years in many countries, not least because this is normally encouraged by governments. The first part of the subtitle, ‘Getting in’, refers to processes in the development of the homeownership stock including problems of access, which in turn implies issues of affordability, the viability of financial institutions and subsidies. ‘Getting from’ indicates that this form of housing tenure may provide households with advantages such as wealth accumulation and independence that may not be available to tenants. Finally, the last section ‘getting out’ refers to the risks associated with home ownership such as the fact that their tenure positions may be founded on their ability to meet loan repayments. This publication is a follow-up to Home ownership: Getting in, getting form and getting out, parts I and II, and is a result of the conference ‘Building on home ownership; housing policies and social strategies’ in Delft, organized by the ENHR working group Home ownership & Globalisation and hosted by OTB Research Institute for Housing, Urban and Mobility Studies, Delft University of Technology. Part III provides an overview of the most recent research results in this field. SC09-391 Strategy as Force: Towards Effective Strategies for Urban Development Projects: The Case of Rotterdam CityPorts. In urban development practices throughout Europe, there is a recurring need for new perspectives that provide insight into the complexity involved in the realization of projects. This need exists particularly around prestigious projects, where the tension between planning ambitions on the one hand and the reality of conflicting interests and tight budgets on the other, reaches its highest point. In the Netherlands, it is also likely that this tension will not decrease in the coming years. This is a sufficient reason for an investigation into strategies for urban development projects. This publication combines several existing scientific insights around the phenomenon 'strategy'. Here, strategy is recognized as force. The term ‘force’ emphasizes that a strategy, as opposed to a plan, provides those involved with the capacity to respond to the continuously changing reality of an urban development project. Thus, an effective strategy not only consists of making plans, but also includes three other strategic activities: venturing, learning and visioning. These insights are then specified on the basis of the remarkable case of Rotterdam CityPorts – a project between city and port in which political and economic forces are especially amplified. It leads the author to develop a comprehensible theoretical model that reflects the complexity occurring in the realization of contemporary urban development projects. This strategy-as-force model is useful for both scientists and practitioners. SC09-391 The 1996 Zambia National Housing Policy. Devising a workable housing policy in a country with apparently insurmountable housing problems, presents a great challenge. With the help of an award from UN-HABITAT, Zambian authorities attempted to do just this, in a process which is an ideal candidate for scrutiny. This study analyzes the goals, means and instruments that were used to formulate the policy, as well as its planned implementation. It examines whether the policy could have achieved its goals had it been implemented, and represents a valuable addition to the body of knowledge which can help to evaluate the potential for success of future housing policies. With its innovative work and the insights it offers into achieving policy implementation in the developing nations of sub-Saharan Africa, this book will be of value to students, academics and practitioners in policy formulation analysis and implementation. SC09-391 Unequal Networks: Spatial Segregation, Relationships and Inequality in the City. Does the neighbourhood in which people live matter for the resourcefulness of their personal network and thus for their opportunities in life? Do residents of a multi-ethnic ‘problem’ area maintain fewer relationships with fellow residents compared to residents of a homogeneous problem-free neighbourhood? And do ‘diversity-seekers’ who choose to live in a mixed neighbourhood translate their liking for diversity into more mixed networks and more bridging ties? This book brings together key insights from urban studies and network studies in order to understand whether and how spatial segregation matters for personal networks and inequality. By approaching these questions through different urban sociological perspectives, the book engages with current debates on poverty concentration as well as ethnic diversity, gentrification and social capital. The study is based on detailed quantitative and qualitative data on the personal networks of people living in three differently composed neighbourhoods in Rotterdam, the second largest city in the Netherlands. SC09-387 Urbanism: PhD. Research 2008-2012. 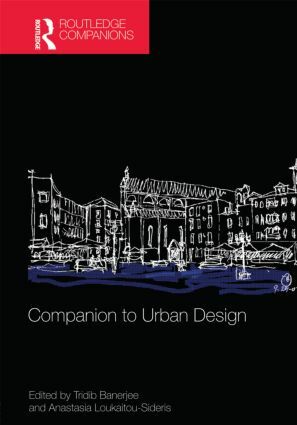 This book is a collection of recent PhD papers from the Department of Urbanism, TU Delft. Urbanism is the academic discipline concerned with understanding the spatial organisation and dynamics of urban areas. The quality of the urban environment is a determining factor in the social, economic and environmental performance of societies and the life of citizens. The TU Delft Department of Urbanism seeks to influence the processes of urban change and transformation through explicit design and planning interventions, underpinning practical action to shape the urban environment in a sustainable way. The strong tradition of urbanism in the delta of the Netherlands is a strong factor influencing this major contribution to knowledge and education in the field. Further developments which build on this experience are necessary to address the great challenges of sustainable development, not least with regard to the problems of climate change in delta areas, transformation of brownfield sites and the making of high-quality public space. 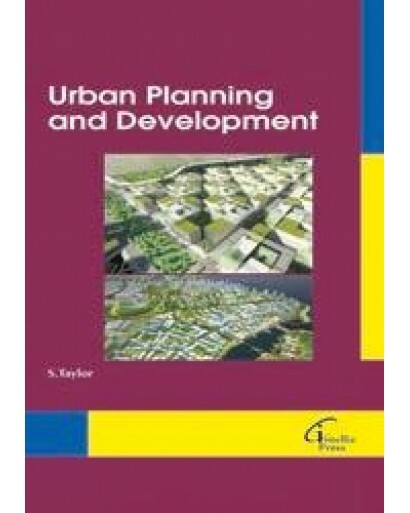 Of interest to all those committed to building a better urban environment, some of the topics covered in this book include: adaptive environments for human habitats, searching for good urban form, mixed use index (MXI) as a tool for urban planning and analysis and pattern formation in planned urban peripheries. SC09-387 Out of Office: A Study on the Cause of Office Vacancy and Transformation as a Means to Cope and Prevent. The problem of vacant office buildings is an increasingly visible aspect of our cityscapes. A building or space is defined as ‘structurally vacant’ when it has been empty for three years or longer. Structural vacancy leads to depreciation, loss of revenues and a general decline in the urban area. There would seem to be too many office buildings, yet despite the number of vacant properties, new office buildings continue to be developed. What is going on? This book examines the causes of long term office vacancies by studying user preferences and the relationship between building characteristics and structural vacancy. 200 office buildings in Amsterdam, a city with a large office market and high vacancy rates, were evaluated; over half of them with structural vacancies. The solution of transformation to residential use is explored and the book concludes with recommendations for preventing problems in future developments. With its suggestions for how to create office buildings with a longer functional and economic lifespan, the book is of practical interest to investors and developers. The establishment of a connection between the worlds of architectural discourse and statistical research makes this book an important resource for scholars and researchers everywhere. The Rural Housing Question: Community and Planning in Britain's Countrysides. Residential Self-Selection and Travel: The Relationship Between Travel-Related Attitudes, Built Environment Characteristics and Travel Behaviour. Most Western national governments aim to influence individual travel patterns – at least to some degree – through the spatial planning of residential areas. Nevertheless, the extent to which the characteristics of the built environment influence travel behaviour remains the subject of debate among travel behaviour researchers. This work addresses the role of residential-self-selection, an important issue within this debate. Households may not only adjust their travel behaviour to the built environment where they live, but they may also choose a residential location that corresponds to their travel-related attitudes. The empirical analysis in this work is based on data collected through an internet survey and a GPS-based survey, both of which were conducted among homeowners in three centrally located municipalities in the Netherlands. The study showed that residential self-selection has some limited effect on the relationship between distances to activity locations and travel mode use and daily kilometres travelled. The results also indicate that the inclusion of attitudes can help to detecting residential self-selection, provided that studies comply with several preconditions, such as the inclusion of the ‘reversed’ influence of behaviour on attitudes. Intrahousehold Resource Allocation and Well-being: The Case of Rural Households in Senegal. In this last decade, poverty in developing countries remains the most important topic of debate at the international level. The main challenge is how to build policies and programs on a gender perspective approach taking into account gender differences in behavior between male and female at the level of the household. This study is undertaken in a context of two earner partners living in mixed farming systems in Senegal where earnings come primarily from crops and livestock. This book provides substantial research focused on household decision-making regarding resource allocation and consumption. Moreover, it attempts to show empirical findings on the analysis of welfare and well-being through an innovative combination of subjective and objective methods. The research shows how important socioeconomic and cultural factors are in determining earnings from agricultural activities. Important determinants of productivity are related to women's land access, non-labor income (transfers from migrants), and the wife's access to credit and health care. The research illustrates also that women's bargaining power may be strongly linked to their access to livestock resources, their mobility in purchasing food and medicine and their participation in the management of household finance. Analysis of decision-making regarding expenditures shows that women, more than men, value household goods (related to food, health and schooling expenditures) more than private goods. The results suggest that policies aimed at improving household livelihoods must understand gender differences, obligations and priorities. Community Development and Civil Society. To what extent are the ideas and practice of community development across Europe similar? Community Development and Civil Society explores this question with special reference to the UK and Hungary and shows how community development connects powerfully with civil society, a concept that today has global significance.Paul Henderson and Ilona Vercseg argue that community development is both a profession and a social movement and is relevant to a wide range of issues.They interweave case studies with discussion of principles and theory.The book's critical and accessible approach will appeal especially to students and practitioners. Social Entrepreneurship: A Skills Approach. Outstanding social entrepreneurs inspire students, transform communities, and ignite innovative approaches to solving social needs. This timely book has been inspired by the increasing interest around social entrepreneurship scholarship and the practice of delivering innovative solutions to social issues. The in-depth theoretical study of stakeholder engagement, financial options, leadership management and organizational challenges is complemented by compelling international case studies of real social enterprise success. The book will be essential reading for students, academics, practitioners and entrepreneurs to expand their knowledge, skills and passion and sustainably pursue their social missions to bring about real social change. SC09-416 An Introduction to Community Development. SC09-383 Housing Policy and Housing Finance in the Czech Republic during Transition. This book contains the description and evaluation of a profound housing system reform constituting part of the transition from a centrally planned to a market economy in the Czech Republic. It addresses two goals: to evaluate housing subsidies (reforms) by application of improved methods of welfare economics and, secondly, to list the main factors explaining the particular outcomes of selected reforms. The author applied methods of welfare economics for an evaluation of housing subsidies in a scale unique in housing studies. The analysis of underlying factors influencing formation of housing reforms brought new findings about the essence of transition in post-socialist countries. SC09-383 Built Environment and Car Travel: Analyses of Interdependencies. An academic and policy debate has been running in recent decades on whether and to what extent travel behaviour is influenced by the built environment. This dissertation addresses the influence on daily travel distance, chaining behaviour, car ownership, and car commuting. As cars are the dominant mode of transport, car travel received most attention. The analyses were based on a comprehensive dataset collected in the North Wing of the Randstad in the Netherlands. The study findings indicate that a more compact urban structure reduces car use. However, the effects are small. One important lesson is that behavioural mechanisms are never simple but invariably elicit compensation. The challenge facing planners is to design cities and neighbourhoods that make it easier to drive less and that are attractive to live in. SC09-383 Greening Governance: An Evolutionary Approach to Policy Making for a Sustainable Built Environment. After twenty years of sustainable building policies, the issue of environmental impact of buildings and urban environments remains. Policy makers still have difficulties addressing the ambiguous, contested and dynamic goals encapsulated in the term ‘sustainable development’. How to decide between using zinc or PVC gutters, when knowledge and valuation of environmental risks of both keep changing? How can we accommodate urban growth, now that compact cities turn out to be urban heat islands? Greening governance identifies how policy makers can deal with these contested questions. The book draws on policy network theories that consider stakeholder interaction, negotiation and learning as conditions for policy success. By understanding these conditions from an evolutionary viewpoint it provides a new perspective for governance. The concepts of generative variety, selective retention and regeneration will help policy makers to prioritise and select contested alternatives while also focusing on more long term and ambitious policy goals. The book is of interest to policy makers and scientists concerned with both the practical and theoretical issues of sustainable built environments. SC09-383 Bridging the Gap Between Social and Market Rented Housing in Six European Countries? SC09-376 Contracting for Better Places: A Relational Analysis of Development Agreements in Urban Development Projects. The dwelling is a central setting in people’s everyday life. People use their dwelling and residential environment for a large variety of activities and purposes. The Meaning of Activities in the Dwelling and Residential Environment systematically relates activities, settings and meanings to improve the insight into people-environment relations which is called a meaning structure approach. Over 600 people, living in either a city centre, suburban or rural type of residential environment were asked about their everyday activities and the meanings thereof. The results show that meanings are important for the way in which people use their dwelling and residential environment. The meaning structure approach allows for a high level of aggregation identifying general meanings of the dwelling, such as a place to be together with family and friends. It also allows for a low level of aggregation, for example, using internet at home has for many people become part of everyday life, providing them with easy access to a wide range of information. This illustrates the usefulness of meaning structures as a tool for investigating people-environment relations. SC09-376 Towards a Sustainable Northern European Housing Stock: Figures, Facts and Future. Never were energy use and security of energy supply as high on the international political agendas as they are now. There seems to be a consensus that energy savings and sustainable energy production must have a high priority. Because the energy use in the residential and non-residential sectors account for a large part of the total energy use, new programs are being developed in order to limit the consumption of energy in these sectors and a lot of attention is put into increasing the energy efficiency of the existing building stock. Towards a Sustainable Northern European Housing Stock is based on a search and inventory of data on the existing Northern-European building stock and related policy developments. In this book, the authors try to give a realistic image of what is really known about the current quality of the building stock, the type of renovation activities that are undertaken and the policies being currently implemented. Recommendations are also made on how to improve the present situation. SC09-376 Meaning of Activities in the Dwelling and Residential Environment: A Structural Approach in People-Environment Relations. SC09-374 New Instruments in Spatial Planning: An International Perspective on Non-Financial Compensation. New Instruments in Spatial Planning addresses the topic of transferring development opportunities between areas in planning practice by a debate between academics, lawyers and planning practitioners at an international planning symposium in Annapolis, MD, USA and the Van Doorne-Habiforum conference on Transferable Development Rights a year later. The idea of transferring development opportunities between areas is more than only the transfer of development rights. It relates more to compensation: not in money, but in a non-financial perspective. A comparative study on non-financial compensation was started, funded by Habiforum and linked to a number of research projects, such as Van Der Veen’s and Spaans’ research funded by the Delft Centre for Sustainable Urban Areas and Janssen-Jansen’s research funded by the Dutch Scientific Organization NWO-STIP. The chapters in this publication are representative of a close cooperation between planners, economists and lawyers from both science and planning practice. The exchange of knowledge within the framework of this book has arisen from divergent paths. SC09-371 Performance Measurement in the Dutch Social Rented Sector. The contributions in Performance measurement in the Dutch social rented sector address the societal and practical needs of housing associations, in order to develop better instruments for performance measurement. The provision of useful instruments allows for more transparency and thus improved external control over housing associations. At the same time these instruments should benefit the internal control and planning processes of the housing associations. The identification of Key Performance Indicators, as well as the input, throughput and output indicators that are bound up with it, facilitates the choice, implementation and (re-)shaping of policy alternatives and the justification for choosing among these alternatives. The contributions in this work do not address the overall scope of performance measurement and performance indicators reflecting the impact of housing. The range of examples covered in the book is related to the public tasks of Dutch housing association. As well as offering practical instruments for performance measurement for specific public tasks, the book ascertains a general guideline for performance management by housing associations. For this purpose the tools that are provided by the conceptual systems approach have been used as a framework. Most of the chapters are a mixture of theoretical or conceptual ideas and practical techniques. SC09-416 Planning for Place and Plexus: Metropolitan Land Use and Transport. SC09-371 The Meaning of Dwelling Features: Conceptual and Methodological Issues. The Meaning of Dwelling Features. Conceptual and Methodological Issues relates the research areas of housing preferences and the meaning of a dwelling with each other and with aspects of the means-end approach as applied in marketing research. It results in a conceptual and methodological framework for studying the meaning of preferences for dwelling features. These features are viewed as functional for achieving the goals and values that people pursue. The meaning of dwelling features lies in these functional relationships. The model presented in this study therefore relates preferences for the features of a dwelling to the meaning they have for people. These relationships are called meaning structures. Meaning structures are measured by a semi-structured interviewing technique, which is an adapted version of the laddering technique for measuring means-end chains, and network methods are used for the representation and analysis of these meaning structures. SC09-371 Urbanism on Track: Application of Tracking Technologies in Urbanism. Tracking technologies such as GPS, mobile phone tracing, video and RFID monitoring are rapidly becoming part of daily life. Technological progress offers huge possibilities for studying human activity patterns in time and space in new ways. Delft University of Technology (TU Delft) held an international expert meeting in early 2007 to investigate the current and future possibilities and limitations of the application of tracking technologies in urban design and spatial planning. This book is the result of that expert meeting. Urbanism on Track introduces the reader to the basics of tracking research and provides insight into its advantages above other research techniques. But it also shows the bottlenecks in gathering and processing data and applying research results to real-life problems. Urbanism on Track showcases tracking experiments in urban studies, planning and design – from pedestrian navigation in Austria to Danish field tests, from TU Delft's Spatial Metro project to MIT's Real Time Rome and last but not least the Sense of the City project realised in Eindhoven. Urbanism on Track discusses the relevance of tracking for policy making, the possibilities of a new cartography and the implementation of tracking technologies in urban design and planning. This makes Urbanism on Track a unique book, setting the agenda for the structural embedment of research using tracking technologies in urbanism. SC09-371 Improving Institutions for Green Landscapes in Metropolitan Areas. Improving Institutions for Green Landscapes in Metropolitan Areas investigates how various institutions for green landscapes in metropolitan areas work, which problems hamper them, and how these institutions can be improved. Themes, theories and methods have been selected as a response to the case studies. The following themes were formulated: landscape and institutional developments, the market or government dilemma, the network or hierarchy dilemma, the relation between spatial planning and land development, and Slow Planning and incremental institutional change. Except from the Flemish Park Forest Ghent project, a reflection case, this research examined the Dutch situation and in particular the land consolidation and contemporary developments in Midden-Delfland, the cross-subsidy approach in the Bloemendalerpolder and the National Landscape Laag Holland. The most important methodological recommendation for research in the field of planning, law and economics is to use a multi-theory approach and to select methodology and theory based on the case study data. SC09-371 Planning from the Bottom up: Democratic Decentralisation in Action. Planning from the Bottom up highlights the gap between the official rhetoric and the political reality of democratic decentralisation and bottom-up planning using an in-depth study of the metropolitan planning process in Kolkata, India. The key issue addressed here is how elected officials at different governmental levels, professional planners, and ordinary citizens interact in the process of metropolitan planning, and which players dominate the process. The focus is on the dynamic interactions between planners and the operation of the political process that shapes this reality. This book illustrates that there are differences in the real motives for the state to pursue decentralisation and what it claims to be behind its decentralisation policy and that the planning process is unlikely to be truly bottom-up if power is concentrated within any one political party. It also depicts how external funding, either from international agencies or higher levels of government, has the potential to force change in the local and regional structures of decision-making so that the voices of ordinary people can be included in public decision-making; for the effective implementation of bottom-up approaches to metropolitan planning the planning bureaucracy needs to be independent of the political class and bottom-up planning requires that planning capacity be built from a grassroots level. This requires devolution of both responsibilities and means/resources to carry out those responsibilities to the lowest level of planning. SC09-371 The Challenge of Change: Dealing with the Legacy of the Modern Movement. Conservation of architecture - and the conversation of Modern architecture in particular – has assumed new challenges. Rather than attempting to return a Modern building to its resumed original state, the challenge of these proceedings is to revalue the essence of the manifold manifestations of Modern architecture and redefine its meanings in a rapidly changing world of digital revolution, worldwide mobility and environmental awareness. This volume aims to provide a variety of platforms for the exchange of ideas and experience. A large, international group of architects, historians, scholars, preservationists and other parties involved in the processes of preserving, renovating and transforming Modern buildings has been invited to investigate the paradox of the Modern monument, and to reflect on the manifold dilemmas of change and continuity. The general theme is elaborated through five sub-themes. The sub-theme ‘Change and Continuity’ addresses the tensions between change and continuity from a historical-theoretical perspective. ‘Restructuring Cities and Landscapes’ focuses on the larger scale of city and landscape, while ‘Shifts in Programme and Flexibility’ draws attention to the scale of the building or building complex, and questions limits of re-use and flexibility. The fourth sub-theme deals with education and the fifth sub-theme ‘Progress, Technology and Sustainability’ considers specific issues of techniques and materials. SC09-363 Environmental Indicators for Building Design: Development and Application on Mexican Dwellings. The ultimate goal of building and construction – in relation to environmental issues – is to construct in an environmentally neutral way; or, as the Brundtland Report states, to consume in such a way that our children have the same choices that we have. Construction will always be needed, and will always consume resources. But in accordance with the conditions of the Brundtland Report, we should move construction into a direction that does not deplete resources, and does not worsen living circumstances through harmful indoor or outdoor environmental effects. Improving our efficiency in resource consumption is the only way in which we will be able to continue our current way of life. It has been calculated that in order to (only) maintain the world average lifestyle a factor 4 of improvement in efficiency of resource consumption is necessary, based on global resource availability, effects on climate change, and coping with growing welfare for developing countries. Measuring a factor x improvement heavily relates to the chosen benchmark. Building activities will always require some environmental load: the mere fact of living already implies use of earthbound resources, so it is generally not very efficient to calculate emissions and other effects in an absolute way. The ultimate target is not to avoid resource use at all, but to use only “reproductive resources” (“regrowable, renewable and replaceable”) to create a balanced situation. When this is achieved, we will still use resources, but usage will be sustainable: it can be maintained well into the future. In developing an approach for assessing sustainable building, the Three Step Strategy (in the Netherlands named Trias Ecologica) has proven to be useful. This publication takes a detailed look at this Strategy. SC09-361 The Institutionalisation of European Spatial Planning. SC09-361 The Purchasing of Maintenance Service Delivery in the Dutch Social Housing Sector: Optimising Commodity Strategies for Delivering Maintenance Services to Tenants. SC09-356 The Urban Decision Room: An Urban Management Instrument. First of all, this book is intended to give the reader a simple introduction to the UDR system in definitions and diagrams. Second, it demonstrates the model-based construction of the system in terms of urban planning. Third, it focuses on the planning methodological function of the system in design and decision-making activities which occur in the process of urban development. The Urban Decision Room (UDR) should be placed in the tradition of urban planning design and planning discipline that is taught, and into which research is carried out, at the Faculty of Architecture at the Delft University of Technology. The UDR was developed at the faculty as one of the new design and planning methods with its own specific features. SC09-356 Home Ownership Beyond Asset and Security. This book is the conclusion of a body of research that started with a workshop held at the University of York in October 2000, and which resulted in the book Globalisation and home ownership. Experiences in eight member states of the European Union (Doling & Ford, 2003). The collated information lifted thinking beyond ‘politics’, linking developments on home ownership with developments in the financial and labour markets in the context of globalization. It led to the insight that to understand developments in different countries it is indispensable to work with an international research team that has awareness of historical roots and cultural idiosyncrasies. This was the basis for the proposal called OSIS - Origins of security and insecurity (OSIS): the interplay of housing systems with jobs, household structures, finance and social security - which was awarded funding as a Specific Targeted Research Project under the 6th Framework Programme. This offered teams in Belgium, Finland, Germany, Hungary, the Netherlands, Portugal, Sweden, and the United Kingdom the opportunity to deepen their studies by following two avenues of research. The first was a quantitative research approach which resulted in the book The social limits to growth: security and insecurity aspects of home ownership (Horsewood & Neuteboom, 2006). The second was a qualitative research approach which focused on households’ perceptions within their own country framework. The main aim of the research was to clarify the extent to which home ownership provides households with security or insecurity. The fruits of this study are presented in the remainder of this book. SC09-353 Urbanism Laboratory for Cities and Regions: Progress of Research Issues in Urbanism 2007. The conditions of urban development are currently changing radically. Technological transformations such as automation and robotisation in industrial production are leading to new operating conditions for businesses and employees. New transportation and distribution systems are changing the scale and flow patterns of the urban agglomerations. The effects of the general application of information and communication technologies in everyday life are barely to overlook. Globalisation and internationalisation as well as the processes of European unification have led to increasing competition between urban agglomerations on European and world scales. On the other hand, the social contrasts within these agglomerations are growing. World-wide environmental problems, the necessity for a more efficient use of energy and natural resources as well as a limitation of CO2 emissions mean that we have to make adaptations to our urban structures and building fabric. SC09-351 Changing Neighbourhoods: Lessons from the JRF Neighbourhood Programme. This report shares the experience of a four-year programme that was set up to explore how neighbourhood activity could best be supported. It follows the progress of twenty very different neighbourhood organisations across three countries to explore the opportunities and challenges of neighbourhood renewal from a community perspective. As well as testing out 'light touch' ways of offering support to community organisations, it explores how different policies are working out on the ground, what it is realistic to expect of local residents and what needs to happen at agency level in order to address the 'implementation gap'. SC09-351 London Voices, London Lives: Tales from a Working Capital. London Voices, London Lives addresses a question of great current importance for urban policy: what kind of a place is London in the early 21st century, and how does it differ significantly - economically, socially, culturally, in quality of life - from other parts of urban Britain? It addresses these questions in a unique way: over one hundred ordinary Londoners, interviewed in their homes in eight areas across London and the surrounding region, provide their own answers in their own voices. SC09-351 Rediscovering Mixed-Use Streets: The Contribution of Local High Streets to Sustainable Communities. Local urban high streets have frequently suffered from neglect in comparison to town centres and out-of-town retail. Yet they have the potential to meet contemporary policy aspirations with regard to sustainability, social inclusion and place making. Rediscovering mixed-use streets is the first in-depth investigation of local mixed-use high streets. Drawing on case-studies in three different locations in England, the report provides a wealth of data and findings produced from a variety of sources, both quantitative and qualitative. SC09-344 Synergy in Polycentric Urban Regions: Complementary, Organising Capacity and Critical Mass. SC09-344 What Makes a City? Planning for 'Quality of Place': The Case of High-Speed Train Station Area Redevelopment. Urban quality is generally considered increasingly important for urban competitiveness. Nevertheless, large urban redevelopment schemes often fail to provide sufficient quality from a user’s perspective. This study therefore investigates the role of urban quality in large-scale urban redevelopment, which is here elaborated in terms of Richard Florida’s concept of quality of place. In a number of extensive case studies, it focuses on prestigious redevelopment projects around the high-speed rail stations in Amsterdam, Rotterdam and Lille. It provides an analysis of the role of urban quality in the development of these projects, as well as some insights in the applicability of quality of place in a wider Dutch context. In addition, the study advocates a more open and flexible planning process, based on a distinctly long-term perspective on urban quality. SC09-344 Shanghai Pudong: Urban Development in an Era of Global-Local Interaction. SC09-340 Jigsaw Cities: Big Places, Small Spaces. Through a close look at major British cities, using Birmingham as a case study, the book explores the origins of Britain's acute urban decline and sprawling exodus; the reasons why 'one size doesn't fit all' in cities of the future and the potential for smart growth, mixed communities and sustainable cities. Based on live examples and hands-on experience, this extremely accessible book offers a unique 'insider' perspective on policy making and practical impacts. It will attract policymakers in cities and government as well as students, regeneration bodies, community organisations and environmental specialists. SC09-339 Jigsaw Cities: Big Places, Small Spaces. 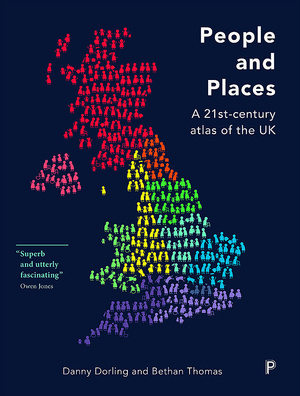 This new book explores Britain's intensely urban and increasingly global communities as interlocking pieces of a complex jigsaw; they are hard to see apart yet they are deeply unequal. How did our major cities become so divided? How do they respond to housing and neighbourhood decay? Jigsaw Cities examines these issues using Birmingham, Britain's second largest city, as a model of pioneering urban order and as a victim of brutal Modernist planning. SC09-337 Building Sustainable Communities: Spatial policy and Labour Mobility in Post-War Britain. This book uses historical and contemporary materials to document the ways in which policy-makers, in different eras, have sought to use state powers and regulations to create better, more balanced, and sustainable communities and citizens. SC09-337 Contesting Neoliberalism: Urban Frontiers. Neoliberalism's "market revolution"--realized through practices like privatization, deregulation, fiscal devolution, and workfare programs--has had a transformative effect on contemporary cities. The consequences of market-oriented politics for urban life have been widely studied, but less attention has been given to how grassroots groups, nongovernmental organizations, and progressive city administrations are fighting back. In case studies written from a variety of theoretical and political perspectives, this book examines how struggles around such issues as affordable housing, public services and space, neighborhood sustainability, living wages, workers' rights, fair trade, and democratic governance are reshaping urban political geographies in North America and around the world. Urban renewal through the large-scale restructuring of post-war neighbourhoods is a major challenge throughout Europe in the decades ahead. Current urban restructuring programmes in the Netherlands focus on the demolition and replacement of the existing housing stock. The motivation behind this strategy is creating a better social mix between ‘poor’ and ‘better-off’ households, to improve the general quality of the housing stock and to create a financially viable restructuring programme. The general aim is to improve various aspects of sustainability in urban neighbourhoods. Are demolition and replacement strategies the most effective and efficient way to achieve this objective? In this book, we examine the effects of demolition and replacement strategies on sustainability from different perspectives. An economic perspective: the market position and the value of the neighbourhoods, a social perspective: the levels of social capital and residential stability, and an environmental perspective: the energy efficiency and the use of materials in restructuring strategies. SC09-344 The Social Limits to Growth: Security and Insecurity Aspects of Home Ownership. The majority of Europeans nowadays are owner-occupiers. In countries where this is not yet the case, home ownership is promoted either directly or indirectly by the government, through subsidies, deregulation of the financial markets or phasing out support to the rented sector. Deregulation of national labour markets and changes to the social security system in recent years - partly due to globalization and partly to far-reaching integration in the European Union - have, weakened the links in the traditional triangle of home ownership, labour market and social security. As a result, the current growth in home ownership seems to be creating more risks for individual homeowners and for the society at large. At the same time, home ownership offers new prospects for households to assess their housing career as well as their labour market position and investment opportunities. So, home ownership has both positive as well as negative aspects for individuals and society. The research, on which this book is based, was done as part of the OSIS-project (Origins of Security and Insecurity, the interplay of housing systems with jobs, household structures, finance and social security) and funded by the EU under the 6th framework programme. The research focussed on specific issues, which will give more insight into the security and insecurity aspects of home ownership across Europe and help to understand the relationship between the structural position of home ownership in different European countries. SC09-342 Health Performance of Housing: Indicators and Tools. SC09-342 Spatial Planning Systems in Western Europe: An Overview. A general trend in our modern society is a growing complexity. It is therefore logical that in most countries there has been a definite tendency to give weight to issues of adapting also the physical space to this complexity and to find methods to do this in an efficient way, giving satisfactory use of land and other natural resources. During the twentieth century we have seen a very active development of legal instruments for this purpose, aimed at steering spatial planning and plan implementation according to the objectives and policies chosen. This book tries to present basic information of how different countries within the chosen area have tried to solve the problem of establishing suitable systems of steering spatial development by means of planning and implementation measures. For this purpose summary descriptions of the connected formal regulations in each country are given in an appendix while a comparative presentation and discussion forms the main text. This will give the interested reader an overview of the current systems in Western Europe, how they have influenced each other but still in many parts differ from each other. SC09-342 World Heritage Site Olinda in Brazil: Proposals for Intervention. “Olinda was the first major Portuguese urban nucleus in the new lands of America. The cultural roots of the city blossomed through the religious processions, the liturgical manifestations, the Carnival parades, the folkloric expressions and the creations of its artists and popular handicraft makers, both native to the city and coming from outside – all of which contributed to further strengthening its tourist potential. Olinda’s historical centre has the largest concentration of the city’s urban cultural heritage. It consisted of buildings and green areas of an outstanding architectural, historical, archaeological, ethnographic, aesthetic and socio-cultural value. Its 16th century monuments, along with its architectural and urban setting, which bear witness to its 471 years of age, give Olinda the characteristics of a city which is alive and in a continuous evolutionary process. The historical site of Olinda covers the hills and the low areas adjacent to the sea, where the first settlements were established and where the monuments, the centuriesold houses and the narrow, steep and sinuous streets are to be found. Olinda is the most important tourist and cultural attraction of the Brazilian Northeast. In 1982, the Historical Site of Olinda was placed on UNESCO’s World Heritage List, which raised national and international interest in our city. This has contributed to improving its opportunities and economic development, but most of all, to publicizing the immensely rich, diversified and creative cultural production of its inhabitants, revealing Olinda’s hospitable and determined character, historically forged through the encounter and intermingling of peoples from the “four corners” of the world and in the libertarian struggles that occurred here.” Luciana Santos, Mayor of Olinda. SC09-339 Open Design, a Stakeholder-Oriented Approach in Architecture, Urban Planning, and Project Management. Open Design refers to a stakeholder-oriented approach in Architecture, Urban Planning, and Project Management, as developed by the Chair of Computer Aided Design and Planning of Delft University of Technology. This edition collects the following three volumes on Open Design: Open Design, a Collaborative Approach to Architecture, offers concepts and methods to combine technical and social optimisation into one integrated design process. Open Design and Construct Management, Managing Complex Construction Projects through Synthesis of Stakeholder Interests, offers a new approach to managing complexity by distinguishing best management practices for complex projects involving considerable uncertainty and risk and best practices for straightforward predictable projects. Open Design, Cases and Exercises, enables the reader to become familiar with the decision-oriented design tools of Open Design, and their application in practice. SC09-337 Urban Transformations and Sustainability: Progress of Research Issues In. The contributions presented are reflecting the ongoing efforts to redefine the discipline of urbanism under globally changing conditions. The conditions of urban development are changing rapidly; technological transformations, new transportation and distribution systems, communication technologies, globalisation and environment problems all cause new challenges. The planning of the future no longer can be based on the certainty of programs and conditions. Instead, the planner is confronted with changing conditions and shifting programs. In this framework, more than before, design approaches will be pivotal. Exploratory research, the reflexive exploration of spatial potentials and the integration of design methods in spatial research will become a key issue for the scientific development of the discipline. The Delft University of Technology intensified and enlarged the research in the field of urban transformation and sustainability and new issues and methodological approaches were discussed in order to develop new research collaborations. With this publication, a broader public has the opportunity to deal wit this debate. Comparing Spatial Features of Urban Housing Markets: Recent Evidence of Submarket Formation in Metropolitan Helsinki and Amsterdam. Various location specific attributes contribute to the spatial dynamics of housing markets. This effect may partly be of a qualitative and discontinuous nature, which causes market segmentation into submarkets. The question however is, whether the most relevant partitioning criteria is directly related to the transaction price of to other, socioeconomic, demographic and physical features of the location. Two neural network techniques are used for analysing statistical house price data from Amsterdam and Helsinki. The analytic hierarchy process is used as a supporting technique. With these techniques it is possible to analyse various dimensions of housing submarket formation. The findings show that, while the price and demand factors have increased in importance, supply factors still prevail as key criteria in both cases. The outcome also indicates that the housing market structure of Amsterdam is more fragmented than that of Helsinki, and that the main discriminating housing market features, and the ways they have changed in time, are somewhat different. Developing Geographic Information Infrastructures: The Role of Information Policies. Within information societies, information availability is a key issue affecting society’s well being. A geographic information infrastructure (GII) is the underlying foundation of such a society with regards to geographic information. Access to government information policies are important for the availability and successful use of the information and the success of the GII itself. Yet there have been only a few investigations into access policy oriented towards GII developments. This book adds to this perspective. Through the creation of a GII maturity matrix describing the development in GIIs, it presents new insights in the role access policies may play in the development of GIIs. The book provides policy makers with strategy guidelines for GII development, as well as information about which access policy would best promote the use of geographic information. This should result in a GII that is able to perform its appropriate infrastructure function in an information society. Urban Housing Patterns in a tide of change: Spatial structure and residential property values in Budapest in a comparative perspective. The development of the housing markets in different European metropolitan areas is of high interest for the urban development and the real estate markets, which are moving towards globalisation. The Budapest housing market is an ideal candidate for scrutiny from an institutional and evolutionary perspective due to its fragmented nature: different house types, age categories, price levels and micro-locations are found side by side. This is a case ‘in between’ Eastern and Western settings, with its own distinctive path dependence – its development pattern does not resemble any other system. The study comprises an innovative economic analysis of the Budapest housing market structure. Applying the self-organising map and the learning vector quantification sheds light on how physical and socio-demographic characteristics, price and regulation are related in this market. Further analysis is carried out using the analytical hierarchy process together with in-depth interviews of experts and a case study of urban renewal in two neighbourhoods using market data. The results are compared with those of a prior study from Helsinki and Amsterdam, as well as with more general theory literature. The results suggest a great difficulty in relating the empirical findings from Budapest to mainstream theory of housing markets. Communicative Tools in Sustainable Urban Planning And Building. Scientific and technological progress in the field of sustainable planning and building has been considerable in the 1990’s, the decade following the Brundtland Report. The issue of sustainable development was high on the agenda, and especially the built environment, being responsible for enormous flows of materials, energy and water, was targeted as one of the sectors that could make a substantial contribution to sustainable development. Acknowledging the potential environmental gains that could be made in the built environment, new concepts and technologies for sustainable building and planning have been developed. Despite this progress, however, not much has changed in the day-to-day practice of building and planning: putting the progress into practice is evidently a problem. This book presents the challenge for sustainable planning and building from a communicative point of view. By gearing these tools to the specific culture of the building and planning world the tools are expected to actually make building and planning more sustainable. Sustainable Solutions for Dutch Housing: Reducing the Environmental Impacts of New And Existing Houses. Sustainable housing construction and management has, to date, been primarily based on an intuitive approach. Numerous measures have been formulated to promote sustainable construction and to reduce the environmental impacts of the built environment. However, little is yet known about the extent of the environmental benefits thereof. Moreover, methods and tools are mainly directed to new construction. This publication makes clear that short-term environmental benefits in sustainable housing construction are rather limited. Renewal of the post-war housing stock offers excellent changes for improvement of the environmental performance of housing. With a newly developed method it is proven that renovation causes less environmental impacts than demolition followed by new construction. However, at the same time the usefulness of Life Cycle Assessment for buildings is doubted. This book is particularly interesting for scientists in the field of methods and tools for sustainable construction and management. Cost Effectiveness of Sustainable Housing Investments. In the context of the sustainability of housing, the assessment of interventions in the stock is of primary importance. So, one of the first requirements for a decision support tooi in this field is that it can compare renovation to demolition followed by new construction. In this thesis the model of the Eco-costs/Value Ratio is elaborated for housing in a way that it meets this requirement. The elaboration of this approach connects eco-cost estimating to the traditional economic cost estimating in housing projects. This way, the assessment of the environmental burden of a plan can virtually be executed without extra calculation activities. The model can indicate whether a certain alteration in a building plan, aimed at reducing ecological burden, is cost-effective or not. Application in a case study shows that new construction and renovation need different approaches as to improving their performances in respect of ecological burden. SC09-437 The City Cultures Reader. SC09-337 City Matters: Competitiveness, cohesion and urban governance. This book provides, in a single volume, a review of the findings of the largest ever programme of cities research in the UK, the Economic and Social Research Council's 'Cities: Competitiveness and Cohesion programme'. Leading experts present the findings of this wide-ranging programme organised around themes of competitiveness, social cohesion and the role of policy and governance. This book provides, in a single volume, a review of the findings of the largest ever programme of cities research in the UK, the Economic and Social Research Council's 'Cities: Competitiveness and Cohesion programme'. Leading experts present the findings of this wide-ranging programme organised around themes of competitiveness, social cohesion and the role of policy and governance. The book: · develops our understanding of key processes, issues and concepts critical to cities and urban change; · examines a large body of evidence on a wide range of policy issues at the heart of current debates about the performance of cities and the prospects for urban renaissance. City matters is essential reading for all policy makers, practitioners, analysts and academics with an interest or involvement in urban issues. Policy Integration in Practice: The Integration of Land Use Planning, Transport and Environmental Policymaking in Denmark, England and Germany. This is one of the few available texts concerning policy integration of land use planning, transport, and environment policy. A source of information for anyone involved in intersectoral policymaking, as well as a wonderful tool for anyone teaching or studying related courses, like regional planning, transport studies, environmental science and public policy. There are increasing demands for policy integration from a number of areas These are coming at a time when decisionmaking is facing increasing complexity--calls for greater transparancy in decision-making, a stronger role for public participation and more involvement of non-governmental organisations, pressure groups and agencies in the decision making process all make policy integration increasingly difficult, but more compelling to achieve. This book explores the necessary onditions for policy integration to occur, the importance of policy integration in practice, the experiences of policy-makers with policy integration and the mechanics or tools that may help to promote more integrated policy. Attention is particularly directed at the urban-region level. Policy integration in practice aims to provide the reader with a general understanding of the issue of policy integration as well as a detailed understanding of this issue in Denmark, England, and Germany. Introduction to Sustainable Urban Renewal: CO2 Reduction & the Use of Performance Agreements--Experience from the Netherlands. As in other European countries, the renewal of post-war housing estates is a major policy issue in the Netherlands. The aim is to upgrade neighbourhoods by means of demolition, renovation of social rented housing and construction of new owner-occupied dwellings. The existing housing stock is a key factor in attaining the greenhouse gas reduction targets in the Kyoto Protocol. This process of renewal will pursue high targets and ambitions as it gets underway in the coming years. It will lead to major interventions in the housing stock and - at the same time - rigorously challenge the market players to make existing dwellings more environmentally-friendly and to develop sustainability in post-war housing. By presenting two case studies this book offers insight into the environmental policies of Dutch housing associations and municipalities. Focusing specifically on the role of performance agreements in realising sustainability ambitions, it also assesses the feasibility of C02 reductions and examines the costs and decision-making processes. Renewable energy in energy performance regulations: A Challenge for European member states in implementing the Energy Performance of Buildings Directive. This research focuses on the possibilities for combining the introduction of the new or revised energy performance regulations required by the EC Energy Performance of Buildings Directive (EPBD) with incentives to encourage the use of renewable energy. It reflects the results of the European research project Build-On-RES that studied the track record of possible incentives and developed recommendations for creating synergy between the promotion of renewable energy and the implementation of the EPBD. Both technical solutions as solutions in the context of energy performance regulations have been studied. The results of the research show that the introduction of (reviewed) energy performance regulations can pave the way for, amongst others, extra incentives for renewable energy, such as a ‘renewable energy’ accreditation to accompany the energy certificate; or an explicit indication of the share of renewable energy in the output of the energy performance calculation. Computational Support For The Selection Of Energy Saving Building Components. This volume is based on a review and a survey among stakeholders which was carried out within the framework of the research project CORRIDESIGN. Starting from the observation that regional economies are intertwined on a European scale, CORRIDESIGN examined whether, to what extent, and in what ways this process towards a network society is spatially linked with the development of cross-border megacorridors between seven large urban regions in North West Europe – the Randstad, the Flemish Diamond, the RheinRuhr area, Lille, Paris, London and the West Midlands. This book makes clear that although the origins of the corridor concept lie in the domain of infrastructure, its meaning extends to such fields as regional economy, urban development and governance. CORRIDESIGN was one of the projects for trans-national co-operation in spatial planning that were executed under the umbrella of the North Western European Area Operational Programme. This Programme was part of INTERREG IIC, a Community Initiative co-financed by the European Commission to promote trans-national co-operation between public bodies and private parties from different countries through projects on both a regional and local level. CORRIDESIGN was carried out by a consortium of seven academic research institutes from the five countries where the megacorridors involved are located. SC09-459 Health and Community Design: The Impact of the Built Environment on Physical Activity. SC09-100 Hauptstadt Berlin Parlamentsviertel Im Spreebogen.